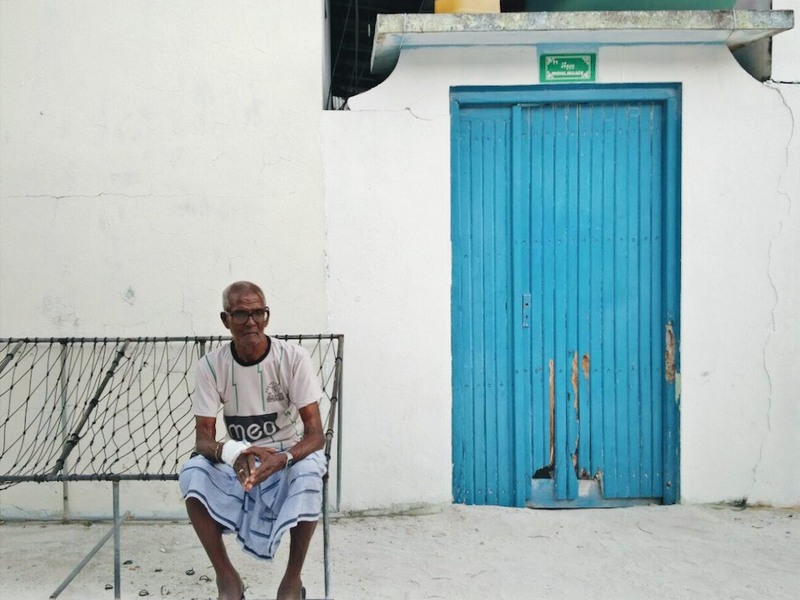 The success of Maafushi – and the ensuing development of guesthouses – have sparked concerns. 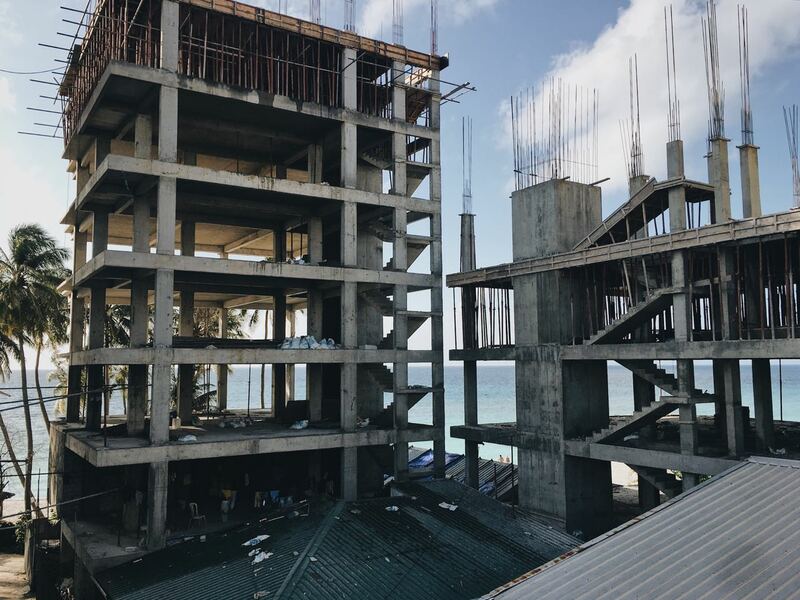 Construction noise has deterred guests, and the loss of sea views has hurt the value of profitable rooms. The evening call to prayer settles across Maafushi, marking the end of a long day for tourists enjoying the trademark sun, sand and sea of the Maldives – once an exclusive experience but now available on a shoestring. Maafushi, hailed by the World Bank for its inclusive wealth creation, is a kaleidoscope in the falling sun. The islanders, hiding away from the afternoon heat, emerge to sit in the joalis as salt-air cools the streets. The visitors, exhausted from their activities, stroll back to their rooms to rest before dinner. In a few hours, the islanders will return to their homes and the visitors will adorn the streets in vibrant outfits. The first Maldives guesthouse opened on Maafushi in 2010. Being only half an hour away from the capital made it the perfect place for the guesthouse experiment: tourists could have simple and affordable holidays more closely aligned with island life. It helped that Maafushi had established infrastructure – something local islands still struggle with. Today there are 52 guesthouses in operation, 23 solely owned by locals, and construction is underway for more. “What we provide here is the local experience,” says Hussain Iyaz, sales and marketing manager of Velana Beach Maldives, a mid-market guesthouse. 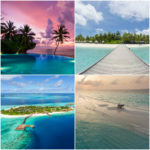 The rise of mid-market tourism had raised fears among resort heavyweights that it would dilute the exclusivity the Maldives has thrived on for more than three decades. But guesthouse owners say collaboration can be beneficial for both markets. “We offer custom packages to guests if they want to spend a part of their stay in a resort. There are packages to stay three days in a guesthouse and one day in a resort,” says Ahmed Samih, managing director of Arena Hotels. 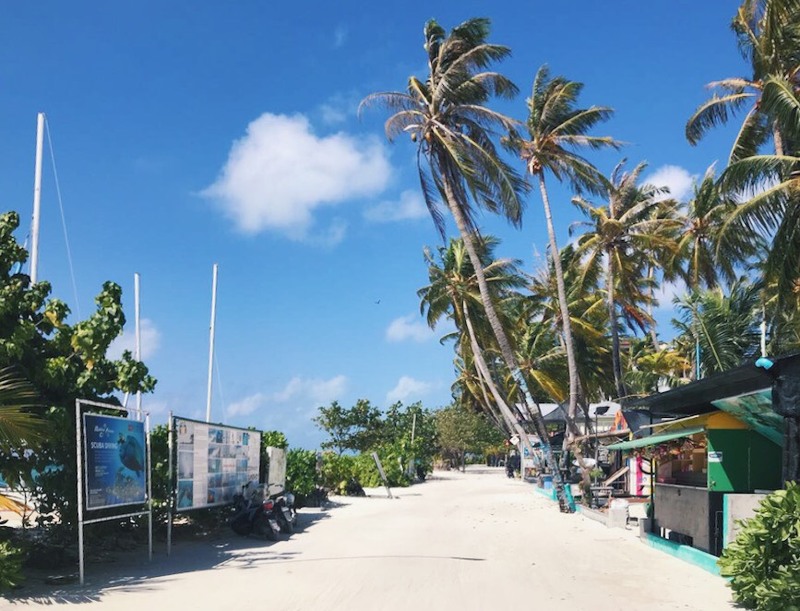 Iyaz says most foreigners are unaware the Maldives is more accessible than it used to be, and that a push from the tourism marketing board would go a long way. Guesthouses are also a hit with Maldivians seeking to flee the chaos of the capital but who cannot afford resort vacations. 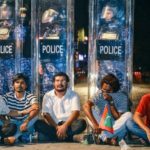 However the success of Maafushi – and the ensuing development of guesthouses – have sparked concerns. Ali Visham works as a guest relations officer and excursion guide for Kuredhi Beach Inn. Kuredhi Beach Inn is among the businesses sidelined because of the development of hotel complexes by the island’s major players. Construction noise has deterred guests, and the loss of sea views has hurt the value of its most profitable rooms. But the building boom, an unattractive island extra for tourists, has fans elsewhere. “There are no complaints from islanders about the new buildings. The guesthouse industry provides more jobs for the locals. People are happy with the new property developments,” says Nasheeda Adam, Maafushi Council vice-president, who is more optimistic. Maafushi, which has a population of 2,700, is changing. Guesthouses tower seven-storeys high while islanders live in run-down residential relics. Laundromats, bakeries, dive centres and food stores have popped up to cater to the growing guesthouse industry. In 2012, even the trees in Maafushi were cut down to make room for more buildings, stripping the roads of shade. 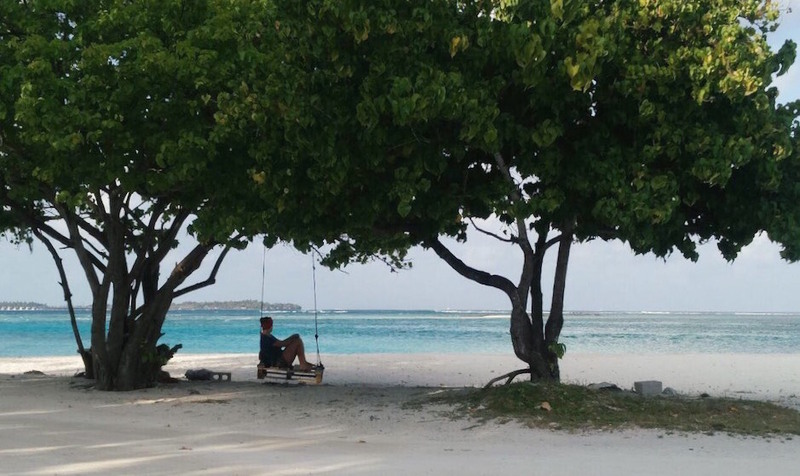 “Maafushi has changed so much,” says 19-year-old Hussain Moosa, a regular fixture at Maafushi Watersports. He has seen how tourism has changed the island for the better, giving children the dream of working on their island and earning good money. “Life is amazing here,” says Mohamed Ali Jabir with a smile. 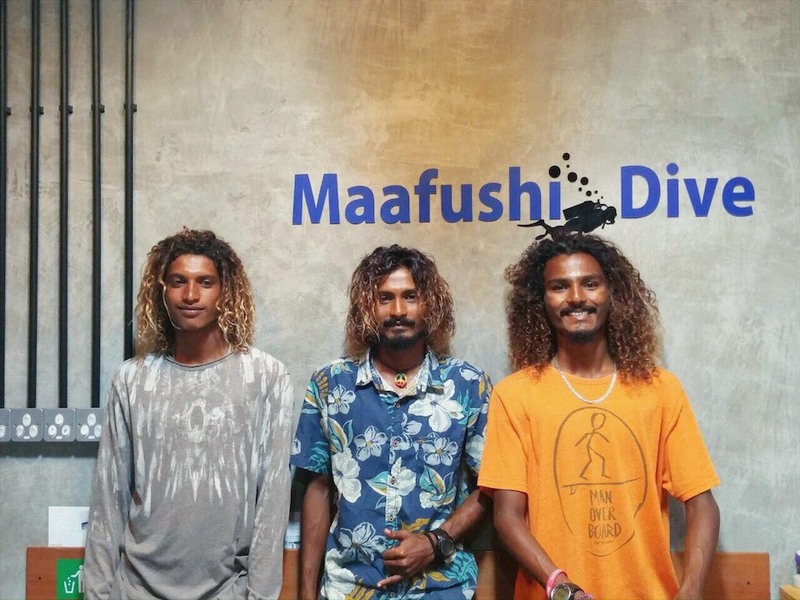 The 22-year old works at Maafushi Dive Center. “I don’t think anyone else can live as contently as us in this industry. If I worked at a resort I couldn’t be like this,” he says pointing at his shoulder-length curls bleached blonde from the sun. He remembers when the reefs began to change during the El Nino weather phenomenon in 2015. 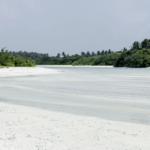 While the reefs struggle to recover, the south-west monsoon erodes the main beach of Maafushi more every year, the result of the previous dredging and of harbour construction in the area. Another victim of Maafushi’s guesthouse revolution. An 18-year-old German tourist lingers at low-tide taking pictures while his younger brother frolics. He is with his family as they travel the world. He praises the beauty around him. “The Maldive islands are very beautiful. These beaches are not something you’d get to see in Germany,” he says. It is not just the shoreline that pulls in foreign tourists. Local quirks have become part of the island’s charm. 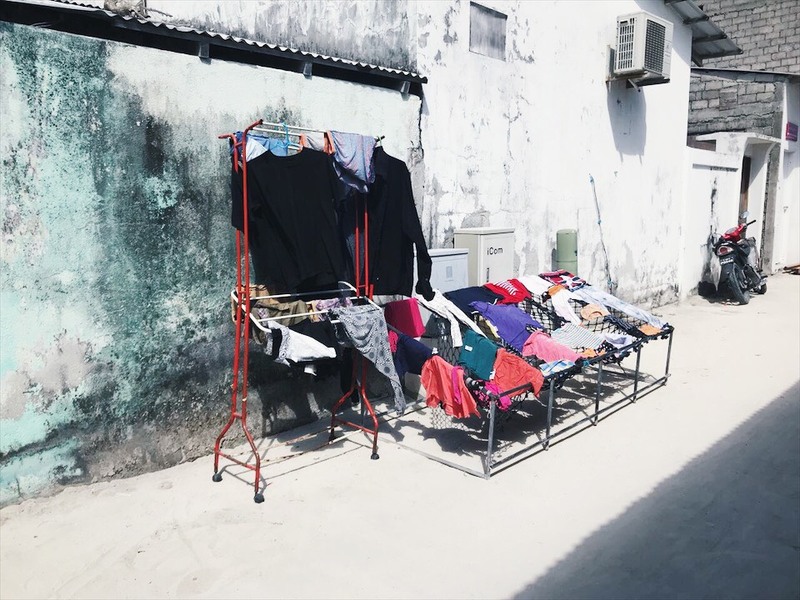 Household laundry is spread out in the sun, underwear on display. Sarongs add brightness to walls and shop window displays. Children play in the water with their niqab-clad mothers. An elderly woman sits outside her home, thatch-weaving. A prison guard from the island’s high-security jail leisurely cycles home at the end of her shift. It’s just another day in Maafushi.